Cosmopolitan tiles woven in a combination of fresh colors decorate the timeless and strongly geometric field of this antique rug. Chinese Deco Rug, Origin: China, Circa: Early 20th Century – Tessellating tiles decorated with a juxtaposed combination of contrasting colors decorate the field of this precisely designed and rendered rug. 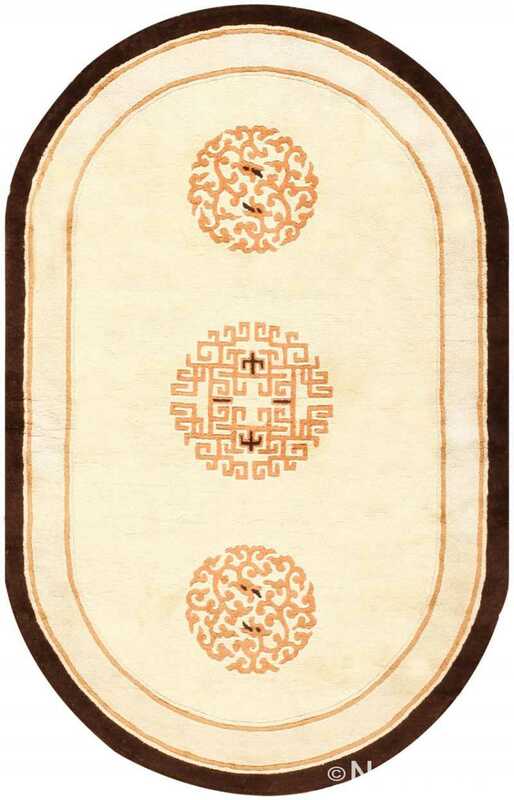 This sophisticated Chinese rug features a series of interlocking blocks that create a staggered tile pattern across the field. Strong outlines, randomly arranged colors and delicate place markers featuring colorful rosettes add to the definition of this complex geometric pattern. 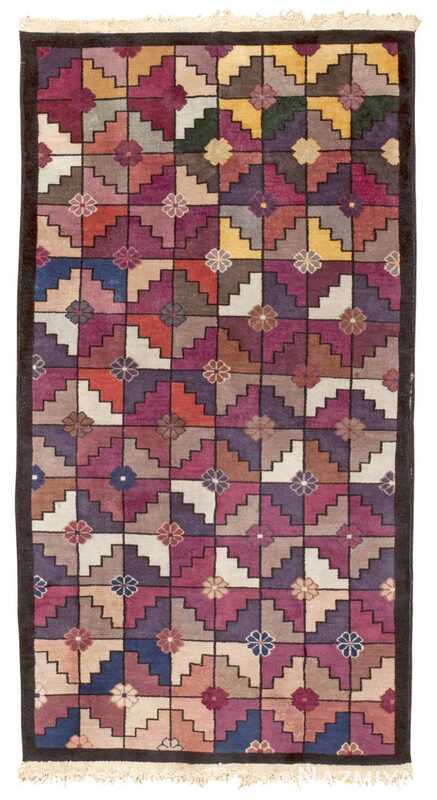 Stepped lozenges woven in a combination of azure blue, plum, magenta, red, taupe and saffron yellow create a formal allover pattern that is both tasteful and timeless. Woven in a truly cosmopolitan style that defies geographic stereotypes, this unique Chinese rug from the 1930s is a versatile, modern creation that is capable of complementing many interior styles both modern and classical. Boldly expressing the dynamic aesthetics of the Art Deco period, this minimally adorned Chinese carpet is a fascinating exercise in early modern design. Superbly decorated, this stellar antique Chinese rug features a sophisticated tile pattern of bold linear compartments that are punctuated with dainty florets. 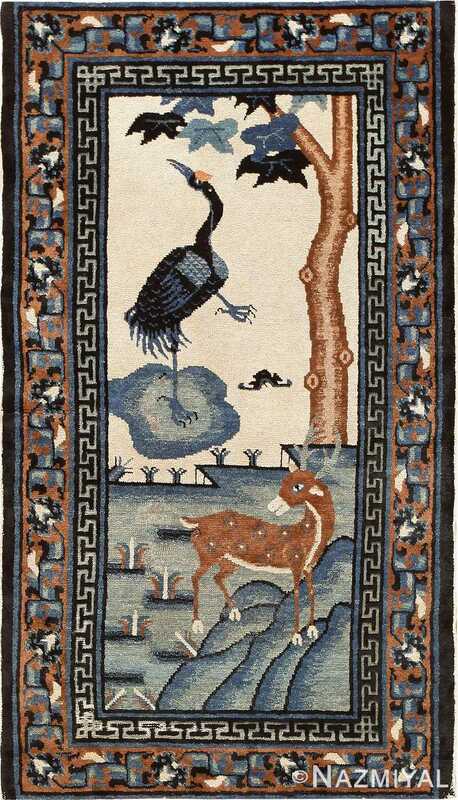 This charming rug features a traditional Chinese scene, but is distinct for its utilization of sumptuous colors.